I was going to title this post “Five Jackets That You Need” but let’s be honest…you don’t need any of these things. But if you want to add a statement piece to your wardrobe, these are some of my favorite jacket styles that let you instantly add a hit of style to a simple pair of jeans and basic tee or tank. Which is typically the way I dress, for both day and night. Simple, simple, statement. So let’s just call it five jackets that I know…and love. And you just might, too. A leopard jacket. Preferably either vintage or a little oversized. I found one similar to the one pictured above at Zara in Paris and have been wearing it non-stop, day and night. It just adds a layer of cool to any look. Don’t worry about how you style it. The key to leopard is to treat it like a neutral. But shop selectively. There is a lot of bad looking leopard out there. J. Crew does a good one. Make that two. A white blazer. My friends make fun of me for wearing white blazers all the time but there’s a reason why I do: they are a chic, unexpected twist on your standard dark version and make you stand out in any crowd. I have a short, fitted one from Helmut Lang (similar to this one – on sale at a MUCH better price than what I paid for mine…ahem) and a loose, oversized one from Zara and I love them both so much I may just get a third. A statement sweater. These are all the rage right now and with good reason. A fun, embellished cardigan sweater like this one that you have seen all over Instagram makes a statement regardless of what you have on underneath. I bought that one and while the price does reflect the quality (it has a loose knit and the shoulders are not quite cut right and it sheds), it is an affordable, eye-catching look that I have turned to on more than one occasion. Just make sure it’s warm enough that you don’t need to cover it up with an overcoat. A jean jacket with a twist. 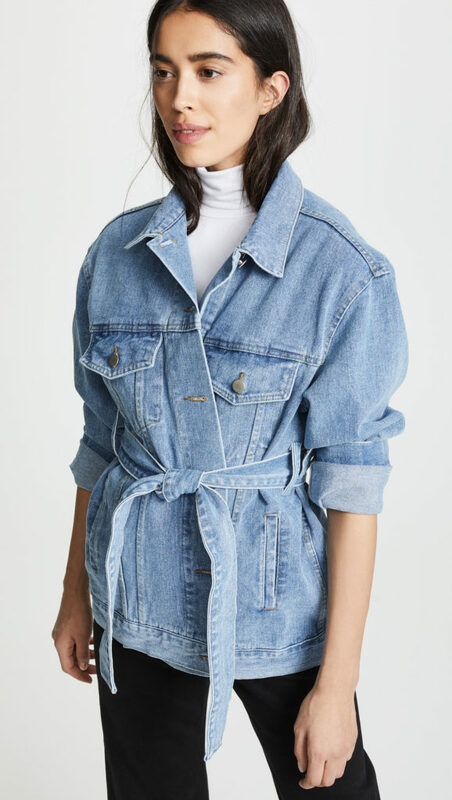 You probably already have a jean jacket but I like one that has a unique something. Maybe it’s black denim instead of blue. Maybe it’s extra long like this one. Or maybe it’s perfectly distressed in all the right places like my favorite one from Able. Either way, make sure the one you choose makes a statement beyond the basic blues. A faux fur. Ok, I can’t lie. I don’t own a faux fur jacket yet but it is at the top of my wish list because I love the way it looks, especially when paired with simple basics. This one is fantastic. So fantastic it is sold out. This one is more glam, but in a good way. Skip anything that is stringy or in a color that real fur wouldn’t ever come in (ie pink, blue, bright red) and make sure all your friends know you’re faux. Naturally. I need a leopard jacket! Thanks for the referrals to good ones. I do have a white blazer from Banana Republic that I love, so I agree on that too! I’m currently cleaning out my clothes using the konmari method, so I’m realizing as I’m getting through the clutter that I don’t love exactly what my wardrobe is missing. Ooh…I have held off on Konmari for now but curious how you like it for your closet. 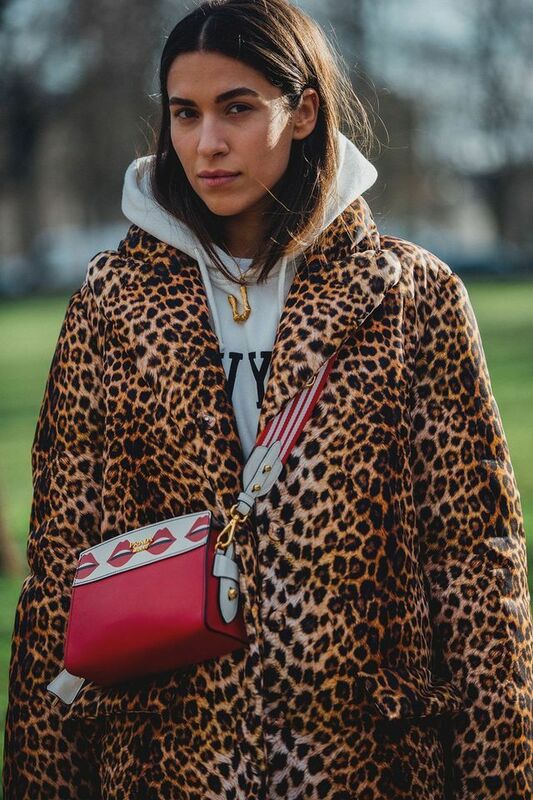 I think I subscribe to a less is more mentality but I am sure Marie Kondo would disagree 😉 Let me know if you find a leopard jacket you like…I promise you will wear it more than you think. I am glad you are back more often in this space. You are inspiring and calming in a world that seems to move at warped speed leaving some of us behind in a wake of anxiety. Thank you for sharing your peaceful thoughts and words.